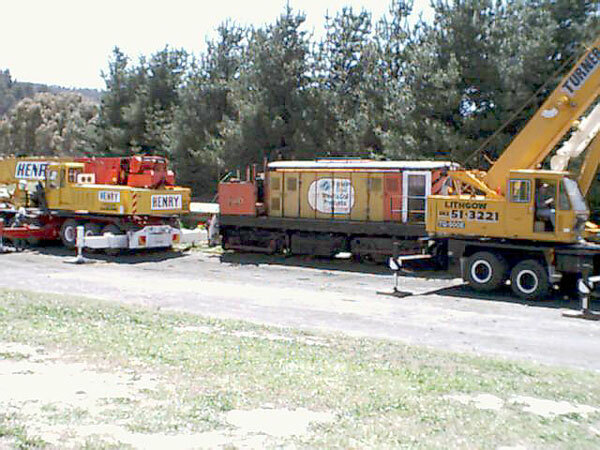 Two D Class diesel locomotives were recently delivered from BHP at Port Kembla to the Museum. The locomotives were transported by road haulage provided by Henry Transport of Lithgow and were unloaded at Lake Pillans by Turners Cranes. locomotive D21 will need a replacement generator. 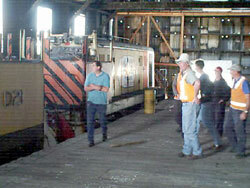 Unfortunately, the generator was damaged by the fire in the carriage shed and will need to be rebuilt. Both locomotives will be valuable assets for our operations. A third D Class locomotive has also been donated by BHP. This locomotive, D24, has a bent frame and is being broken up. It will be transported to the Museum in due course and will be used as a source of spare parts. Mr. Bill Parkinson, Technical Officer, BHP Locomotive Maintenance Facility, will be coming to the Museum within the few weeks to service D23 and put D20 into service. Many thanks go to Bill for his ongoing interest and support for this project. In other rail related news drainage works have been undertaken at the site of Eskbank Locomotive Depot. 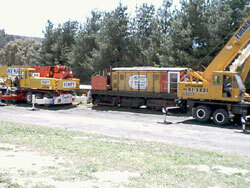 The works have involved the installation of 375mm diameter pipes to channel stormwater away from the depot turntable. The Rail Services Authority has agreed to install a retaining wall and remove cables from the depot site. A replica of the Eskbank engine shed will be constructed at the site when all the original foundations have been located and funds become available. 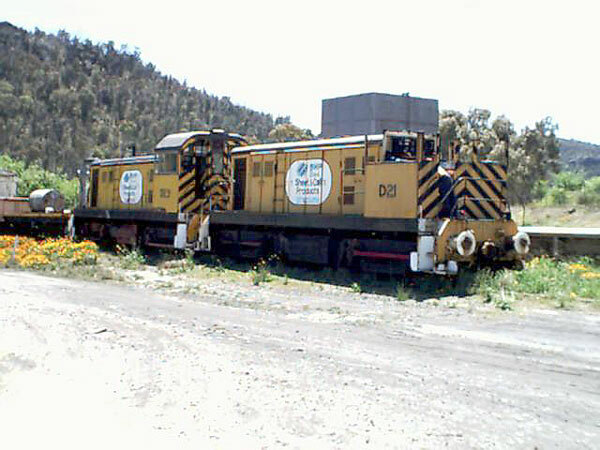 One of the D-Class locos just after being set down on the track. 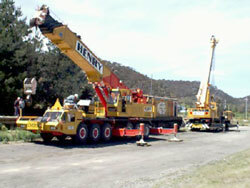 Two of the huge cranes from Henrys that were used to unload the D-Class locos from the semi-trailers to the track. One of the newly D-Class locos about to be shunted by D-23. Museum volunteers storing the D-Class locos in the Goods Shed at Eskbank.